Just because you write great content doesn’t mean people will automatically visit your website – especially if they’re not even aware it exists. 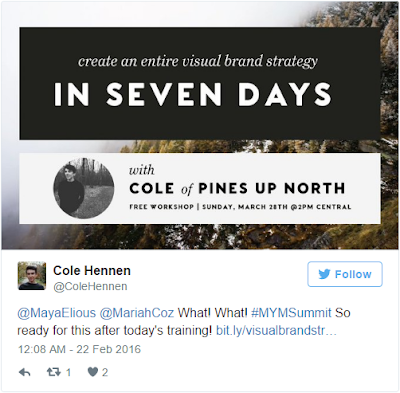 Many bloggers will tell you all you need is amazing content. And while it’s true you do need good content, you also need a strategy that will actually get targeted people to your website. Why? More targeted traffic means more leads and more sales. Period. The good news is you don’t need a large marketing budget. There are plenty of free ways to grow your website traffic. Let’s look at four of them. Putting yourself and your business out there by being totally open with your audience – while providing exceptional content and value – can create a loyal following of fans. There’s no room for faking it here, but if you do it right, these people will bend over backwards to buy whatever you sell. They will gladly share your content, link to your site, and selflessly promote and recommend you – simply because they trust you and the value you provide. Try the following proven ways to increase transparency with your audience. People are nosey and smart bloggers and entrepreneurs capitalize on this fact. 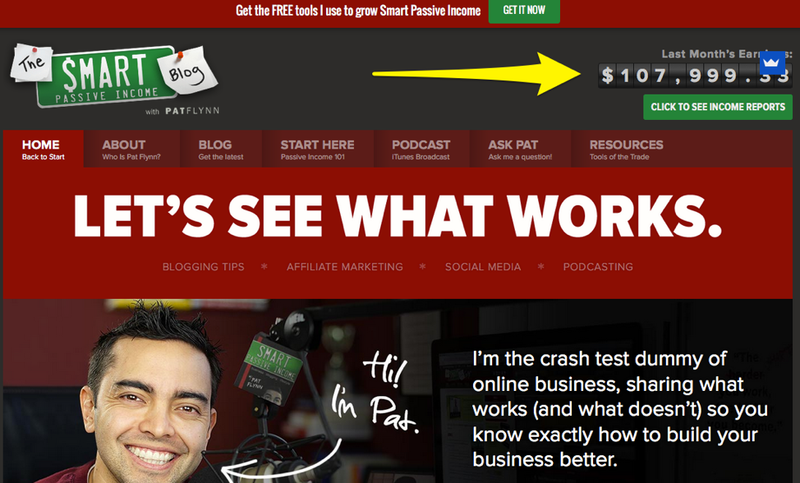 Pat Flynn of Smart Passive Income, for example, builds trust, traffic, and a loyal fan base by posting his income reports online. Nobody really goes around telling people how much they make in real life, yet Pat, Lindsay from Pinch Of Yum, and countless others open up their online businesses – and their bank balances – to their audience. You get to follow along their journey, learn about their successes and failures, and hopefully take something away valuable. Periscope is a live streaming app that’s increasingly being used by bloggers, entrepreneurs and marketers to broadcast on the go and interact with their followers. What’s great about this is you can be authentic and true to yourself without any real repercussions because the video by default stays live for only 24 hours, before it expires. Mariah Coz uses Periscope to show her authenticity to loyal fans by sharing her faults, successes and challenges. This helps Mariah build even greater loyalty from her fan base. 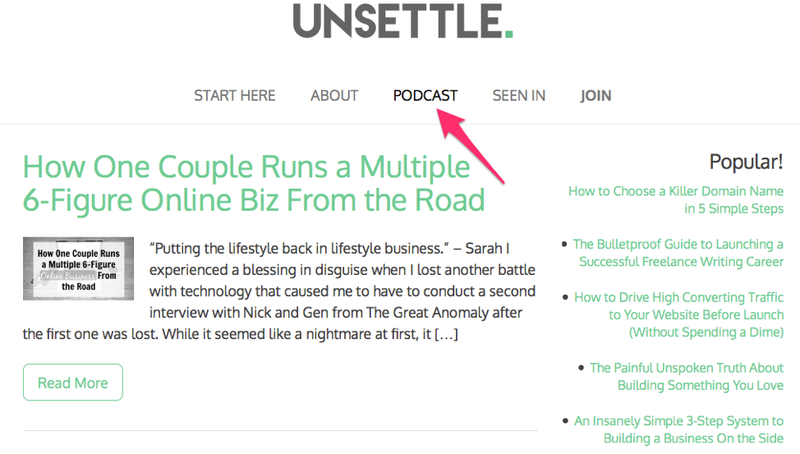 When you guest post, you normally get a link on the owner’s blog back to your own blog or website. Google considers this a valuable ranking factor and it can help boost your website’s rankings in the search engines – equaling more free traffic. 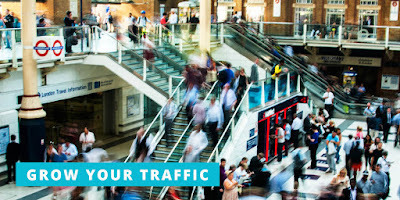 If the site receives a lot of traffic, your name and content will be exposed to a large audience of targeted visitors. Your goal is to have these people click through to your site, wow them with your content, and convert them into regular readers and mailing list subscribers. Lastly, by authoring articles on popular sites you’ll increase – or maintain – your reputation as an industry expert. 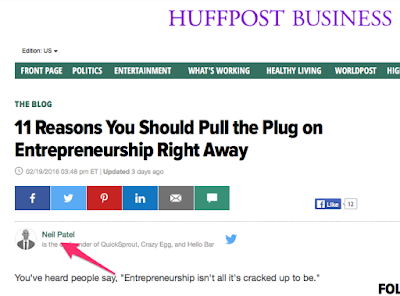 For example, Neil Patel is a well-known content marketer. 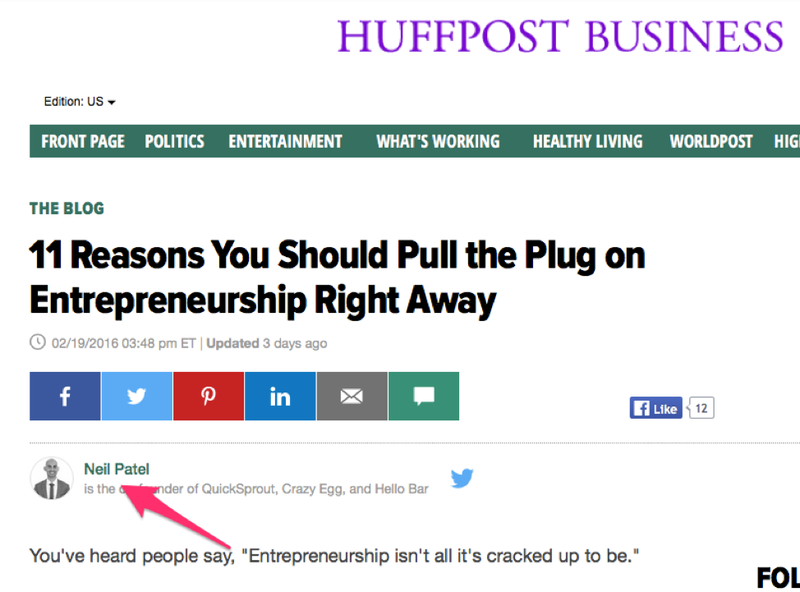 He’s co-founded several sites including Crazy Egg and QuickSprout, yet he still guest posts on high authority sites. Why? Because it helps him generate traffic back to his sites and helps solidify in people that he is truly an expert in his field. Growing your website traffic should always be a main focus, but instead of always having to seek out new visitors or sources of traffic, you can ultimately grow a valuable readership by working hard to retain the visitors you do attract. If you don’t have an opt-in form on your website to capture email addresses, then you’re missing out. Instead of adding a boring newsletter subscription box (that most people ignore anyways), why not entice visitors by asking for their email address in exchange for an incentive? There are many other ways to capture an email. Let’s look at two other ways. A content upgrade is a lead magnet that’s post-specific and can help you generate more subscribers. How many more? According to Bryan Harris of VideoFruit, up to 30% more opt-ins. If you have a post on 8 Ways to Nurture Your Email List, and in the post you offer your readers 10 more ways – in exchange for their email address – they’ve already shown interest in the topic so they’ll likely opt in. Here’s an example of a content upgrade on Adam Connell’s site Blogging Wizard. His post, How to Get More Twitter Followers: 24 Effective Tips to Grow Your Following Fast, features a content upgrade offering a checklist to grow your Twitter following fast. Running a webinar is a great way to grow your traffic and mailing list. It’s easy to get people to sign up for webinars since they usually consist of high-value content filled with actionable tips. You can do the presentation alone, or collaborate with another entrepreneur for access to their list and audience, and vice versa. People enjoy learning in different ways; some relate to visuals more than text while others enjoy audio over video. If you want to attract a wider pool of readers, publish different forms of content. This enables you to more easily use social media platforms like YouTube, Instagram and Pinterest to drive traffic. And if you’re not interested in creating graphics or videos, podcasts are easy to do and can help you generate traffic. 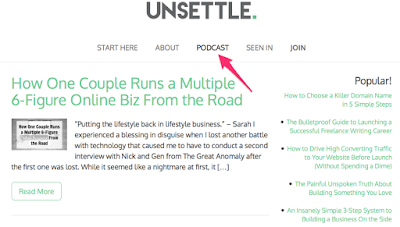 Sarah Peterson from Unsettle regularly does podcasts for her audience. When publishing different forms of content like infographics, videos or podcasts, over time you’ll learn which types of content work best for generating traffic in your particular industry – and where to focus your efforts. 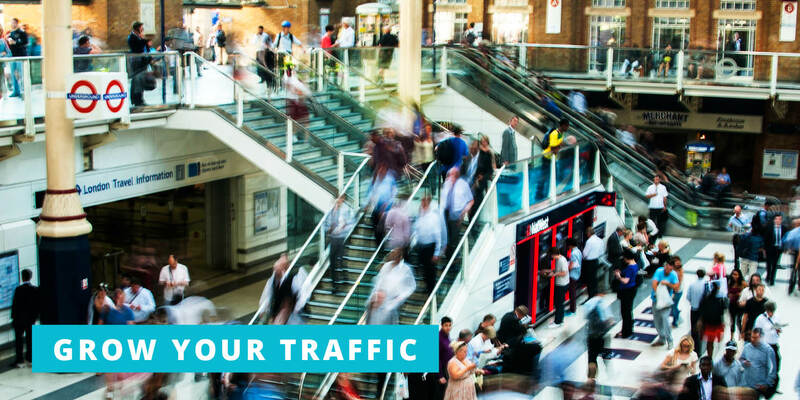 Growing traffic is something that takes time but we’ve shown it’s possible to generate traffic to your website for free – good news if you’re bootstrapping and have more time than money. Through guest posts you’ll be able to build your name and brand recognition quickly and if you go out of your way to be transparent with your audience – by sharing income reports for example – you’ll build trust and hopefully generate loyal followers and recurring traffic. And by capturing email addresses and publishing different forms of content, you’ll retain more visitors and access a new traffic demographic. 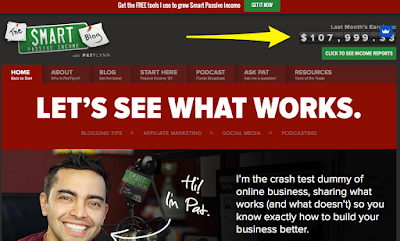 Over to you – what other free ways are you using to drive traffic back to your site?